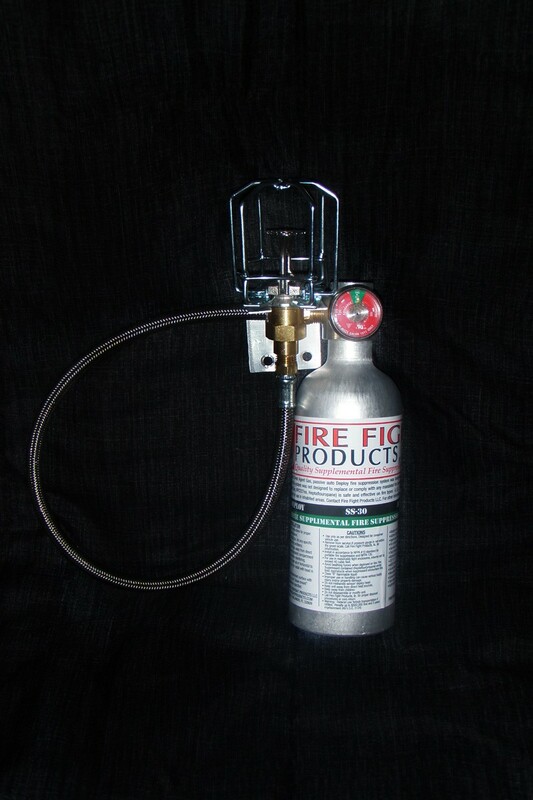 Our most popular unit, this “Clean Agent Gas” extinguisher will cover up to a 24cf enclosed compartment. Available with standard head as shown or 90 deg. head configuration. Pressure gauge and a “max” ambient temperature thermal monitor strip to document max compartment temperature. Please specify application when ordering, trigger temperature may be effected. Same as above but with locking high quality valve and 4′ braided stainless hose for remote mounting of container. A workhorse of our line, this clean agent gas unit packs the punch you need for small stand up engine rooms. This model will do the job in many applications. 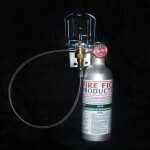 This 5 pound system features a 4′ Teflon lined, braided stainless hose with a 90 degree head for remote mounting. The largest container we offer, this 10 lb. 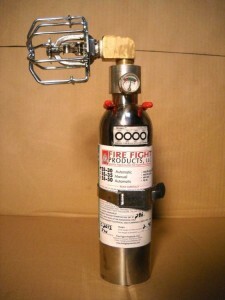 clean agent gas extinguisher leaves no doubt that you are doing what you can to protect your vessel. 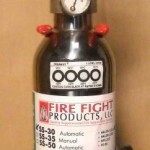 Same features as the SS-100 available with straight or 90 deg. head configurations larger engine rooms can be protected.